NV Louis Bouillot Crémant de Bourgogne Rosé Brut Perle d’Aurore: Retail $15. 70% Pinot Noir, 20% Gamay, 10% Chardonnay. My wife brought this home the other day and I greeted it with chagrin: I am no real fan of Crémant from Burgundy. Don’t misunderstand—I love Crémant, but only when it comes from the Jura, Alsace, and (sometimes) Loire. 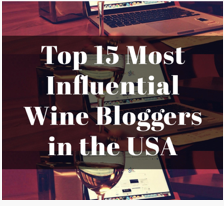 As for the home of the best Pinot Noir and Chardonnay on the planet? I have to say I am less than whelmed by the sparkling from the region. That may have just changed. I have had the bubbles from one of the larger producers in Burgundy before, but I was nonplussed. This bottle though? Great strawberry fruit, plenty of acidity, and a sexiness I normally associate with Champagne. Bravo. Very Good to Outstanding. 89-91 Points. 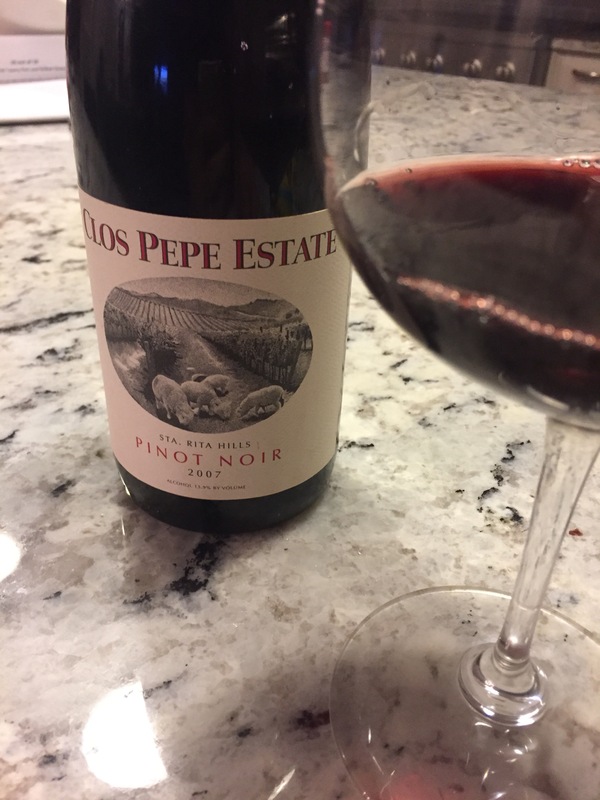 2007 Clos Pepe Estate Pinot Noir: Retail $50. This is darker in both color and flavor than I remember and certainly surprising for a ten year-old Pinot. Blackberry dominates much more so than cherry. Tart and earthy with plenty of mouth puckering acidity with fully integrated tannins. I am not as head-over-heels ga-ga with this wine as I was with the last bottle, but make no mistake, this is fantastic. Outstanding. 90-92 Points. 2009 Gary Farrell Pinot Noir Carneros Selection: Retail $55. Dark and a bit brooding in the glass with dark berries and just a hint of stewed fruit. Quite fruity on the palate with a nice tartness and touches of spice and earth. This is drinking fairly well now and not sure if any more time is necessary as the tannins are completely integrated. Very Nice. Outstanding. 90-92 Points. 2010 LangeTwins Zinfandel Centennial: Retail $60. Most of my experience with Lange Twins wines comes on the lower end of the spectrum, where I think they do an exceedingly good job. This is my first foray into the upper echelons of their wines. Meh. There is fruit, but it is a bit over-extracted and stewed, with dark berries struggling to be noticed. On the palate, it is rich and enjoyable, but $60? I am not so sure. For $30, I would be happy. I think…. Very Good to Outstanding. 88-90 Points. 2013 Kitchak Cellars Cabernet Sauvignon Scherzo Rosato: Retail $30. 100% Cabernet Sauvignon. Quite dark–probably closer to a red than the average rosé. Still quite fruity on the nose, with plenty of cranberry and minerality. On the palate, rich fruit and nice acidity even four years out. Again, goes to show that well-made rosé can age. Outstanding. 90-92 Points. WINE OF THE WEEK: I returned home from Sicily this week in a bit of a funk (a 28 hour trip can do that to you). Adding to the sense of disequilibrium is the fact that my in-laws are living with us until their house around the corner is completed. The co-habitation has gone much better than one could have hoped, but it is always odd when normal routines are altered. So what do I do? I turn to my cellar to find a bit of normalcy. This week, I cracked open a few wines that I worried may have been past their prime a bit, with the exception of the Bouillot Crémant, which I found to be delightful—I normally prefer Crémants from the Jura and the Loire over Burgundy, but this one was tasty. There was the Kitchak Rosé of Cabernet Sauvignon, which, even at four years out, was fruity and alive, challenging the notion that rosés are wines for immediate consumption. The Lange Twins Centennial was not as impressive as I had hoped, but was much better on day two, which allayed my fear that I had waited too long. The best wines of the week, though, had to be the two California Pinots. The Gary Farrell was fantastic and well worthy of Wine of the Week, but in the end, I opted for the 2007 Clos Pepe Estate Pinot Noir. Why? Well, the Clos Pepe winery is no longer making wine as Wes Hagen, the proprietor and wine maker has moved on (to put a bit of positive spin on the situation), and given my current situation, I find myself feeling a bit nostalgic, pondering the way life used to be. This entry was posted in Cabernet Sauvignon, Chardonnay, Gamay, Pinot Noir, Wine, Zinfandel. Bookmark the permalink. What a great series of wines, my friend! Serious drink!